The insurance industry has its own organization to investigate what it believes to be fraudulent activity. However, what an insurance company might consider fraudulent may in fact be a legitimate claim that has been mishandled, misfiled or misunderstood. Instead of rectifying the situation, though, many insurance companies prefer to turn to the courts. 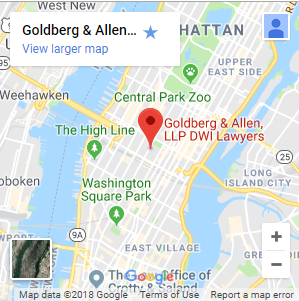 If you have been charged with insurance fraud or you are under investigation for suspected insurance fraud, take decisive action to protect your rights and contact us at Goldberg & Allen, LLP. Our New York insurance fraud attorneys have extensive experience handling complex white collar crimes and offer honest and direct counsel regarding your options. Call 212-766-3366 to learn how our skilled lawyers can assist you. Insurance companies are notorious for being frugal — to the point of being overly suspicious of valid claims. Any supposed misstatements or false representation on the initial application could result in a denied insurance claim, a canceled policy and a criminal investigation. Insurance fraud cases are highly technical, so protecting your rights against insurance fraud requires a lawyer with hands-on experience handling complex white collar crimes at both the state and federal level. As former First Deputy Bureau Chiefs in the Kings County District Attorney’s Office, we understand the detailed analysis involved in cases of health insurance fraud, mail fraud and other types of fraud. We use our experience to carefully examine all the paperwork, including the initial claim and the policy itself, to develop an effective defense strategy. Do You Need an Experienced False Insurance Claim Attorney? In recent years, the prosecution of white collar crimes — particularly fraud — has become a high priority for New York courts. We are known for our many successful case results, and have handled high profile fraud cases throughout New York City. 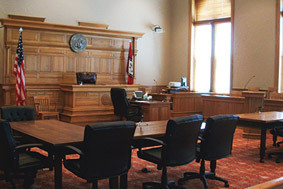 We provide the detailed, financially savvy criminal defense you need to beat the prosecution’s case against you. Put our experience to work for you and contact us to discuss your options and priorities in a free consultation. Call 212-766-3366.